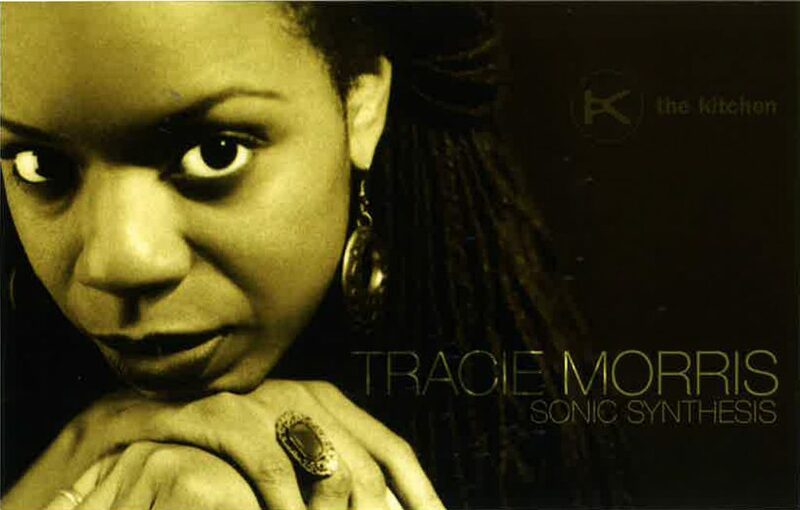 Sonic Synthesis was a soundscape performance conceived and performed by the interdisciplinary poet, Tracie Morris. Mixing the rhythms of blues, jazz, rock, and experimental music, Morris delivered poems that centered on the history of slavery, stories of black culture, and tender sensual love. Directed by Arthur Jafa, the three-night engagement featured original compositions and improvisational works by Melvin Gibbs and Graham Haynes as well as Marvin Sewell and Vernon Reid on guitars, Henry Schroy on electric bass, and Val Jeanty manipulating samples and drumbeats.